Al-Monitor | Maziar Motamedi: Asian soccer’s most important game of the season, the AFC Champions League final, was held in Tehran on Nov. 10. What transpired on the pitch was somewhat anticlimactic, not to mention discouraging for the Iranian side, as Iran’s Persepolis and Japan’s Kashima Antlers reached a goalless draw that meant the latter emerged victorious on aggregate. But a lot more was going on in the VIP section and the packed stands of the iconic Azadi Stadium. Gianni Infantino, president of world soccer’s governing body FIFA, was watching the game next to high-level Iranian officials led by First Vice President Eshaq Jahangiri as well as Asian Football Federation President Sheikh Salman of Bahrain. 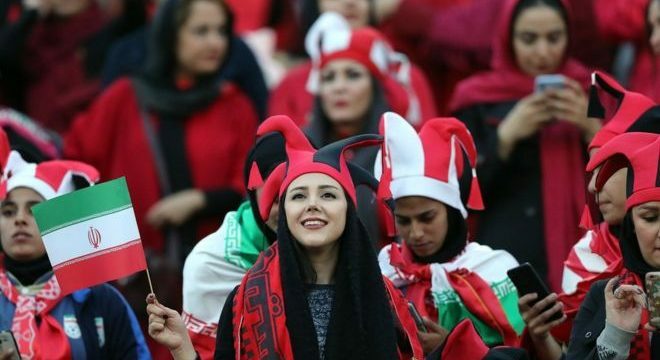 From a small designated area in the stands, some 800 Iranian women were also watching, but much more ecstatically, many of them crying tears of excitement. For most of them, it was the first time they had entered the stadium to watch a soccer match live.